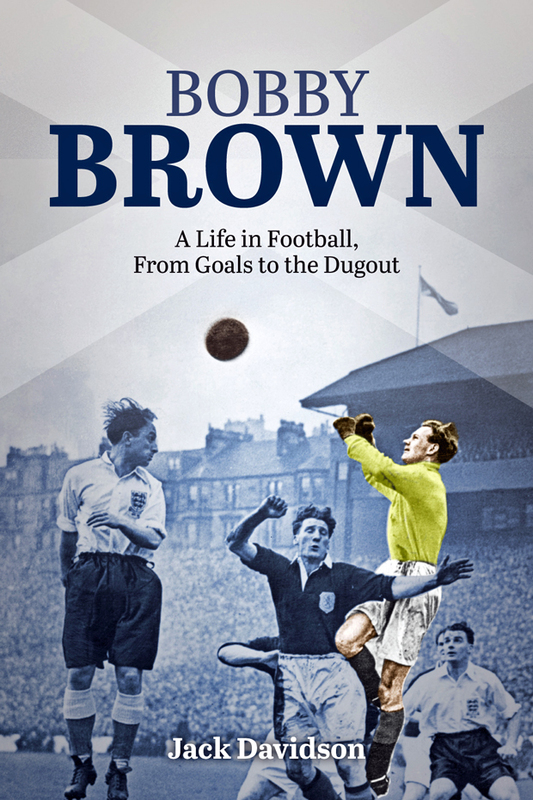 ‘Bobby Brown — A life in Football, from Goals to the Dugout’ was a topic of conversation in BBC Radio Scotland’s radio sports programmes, and sold well to football followers. Bobby, who is 94 and still lives in the burgh, chatted at length to the author, retired QC Jack Davidson, a member of the British Society of Sports History with a particular interest in football. Jack has written a number of sports history articles for the Scotsman and the Herald as well as many sporting obituaries for both, and has also contributed extensively to football fanzines. His first book, ‘Highland Fling’, dealt with the career of Scotland’s leading Highland Games heavyweight athlete of recent times, Bill Anderson. Bobby, the manager who led Scotland to victory over newly-crowned world champions England in 1967, has lived in Helensburgh for 47 years. The very successful player became a national hero asxa manager when his team beat Sir Alf Ramsay’s men at Wembley 3-2 in their first match after winning the Jules Rimet Trophy the previous year. Bobby was born in Dunipace, Stirlingshire, in 1923. He signed for Queen’s Park as a 16 year-old goalkeeper in 1939. A Falkirk High School pupil, he had played for his school team in the morning, and was informed that he was needed to play for Queen’s Park that afternoon as one of their goalkeepers had gone back to Egypt and the other had been called up to the forces. “The game was at Parkhead against a very strong Celtic team which won the Empire Exhibition Tournament,” he recalls. The following year he enrolled as a student at Jordanhill College, then volunteered to serve in the Fleet Air Arm, qualifying as a Fairey Swordfish pilot and attaining the rank of Petty Officer. But he was playing so many games for the Combined Services team that his flying career was interrupted, and he was transferred to the Royal Navy School of Physical Training at Portsmouth and served there for the rest of the war. “I played in every international for Scotland during the war, but of course caps were not awarded,” he said. After he was demobbed he briefly returned to Queen’s Park and won his first Scotland cap, then signed for Rangers. He played for the Ibrox club for a decade in front of crowds of up to 130,000, winning five Scottish League titles, four Scottish Cups, two League Cups, and another five caps. In 1948 he was a member of the first ever team to win the domestic treble. He said: “I owe a lot to Rangers and they gave me a wonderful life — we were a band of brothers working and playing together every week. “They paid a very good wage and put sums of money in trust for the players. After five years you were given a benefit, and I had two. In Bill Struth we had the greatest manager Rangers have ever had. “The game was more entertaining than it is now — it was the working man’s game, there were lots of miners in the teams, we played with a hard ball, and every team played with two wingers and had personalities you could identify with. 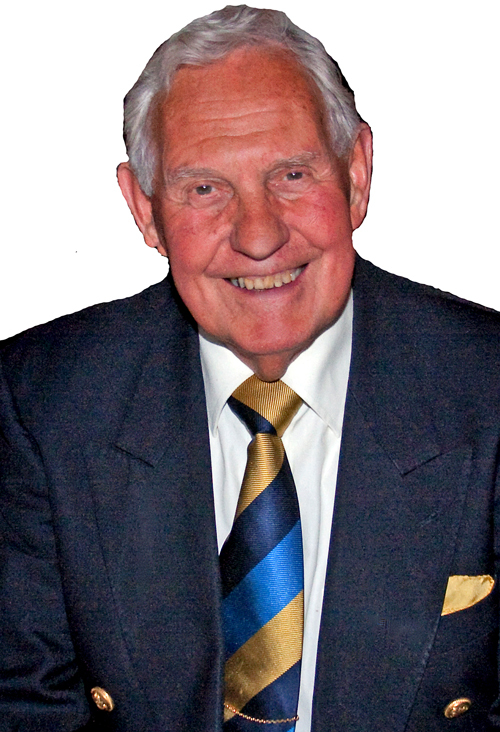 Bobby moved to Falkirk in 1956 and played at Brockville for a further two years before retiring from playing in 1958 and becoming part-time manager at St Johnstone. In 1959 he turned down the job of Dundee United manager because he was a sports master at Alloa Academy. In 1966 the Scottish Football Association decided they should appoint a full-time manager to run the national side, instead of a committee. They approached Bobby, and he agreed to leave St Johnstone on condition that he picked the team and the committee did not interfere. The victory over Sir Alf Ramsay’s England in a UEFA European Championship qualifier was the perfect start, and included the famous moment when Jim Baxter rubbed in Scotland’s dominance by playing ‘keepy-uppy’. “I was going berserk when he did that,” Bobby said. He continued as Scotland manager until 1971, but often found his squads depleted by club demands and results suffered accordingly. His record was played 28, won 9, drawn 8, lost 11. After finishing with Scotland in July 1971, he turned to his business interests outside football, although he did remain involved in the game, scouting for Plymouth Argyle for several years and also acting as a players agent. He and his wife Ruth moved to Helensburgh in 1970, lived in West Gable, Rowallan Street, and went into business with partner Douglas Weatherstone and his wife in a seafront shop gift and coffee shop called Whichcraft. Bobby accepted the invitation to become a member of Helensburgh Rotary Club, and Ruth joined Helensburgh Inner Wheel Club. In 1978 Ruth took ill with a form of blood cancer, and when she received treatment at Glasgow’s Western Infirmary she discovered that there was an urgent need for a blood cell processor unit to assist diagnosis of rare blood diseases. She set up the Ruth Brown Blood Cell Processor Fund in April 1982, and in a year she and Bobby were responsible for raising over £16,000 to buy the unit and accessories for the hospital. Bobby said: “We had tremendous support from the public, in particular in Helensburgh and district, but also from all over the world. It was immensely moving. Sadly Ruth passed away at the age of 59 not long after presenting the unit. Bobby decided to remain in Helensburgh, and moved to a smaller house. He remains sprightly— and has never looked his age. In 2010 he put this down to keeping fit by going for walks, attending the Slimming Club, and enjoying St Michael’s Church Rambling Club outings. He also had regular holidays in the sunshine of Portugal. That year Bobby appeared in a TV film about the famous victory over England made by a former Glasgow man who lives in Helensburgh and a former Helensburgh man who lives in Glasgow. It was produced by Glasgow man Brendan O’Hara, a Sky TV producer for many years who now lives in the burgh and who is now in his second term as MP for Argyll. The assistant producer was burgh man Angus Dixon, whose late mother Marie was a local tennis champion and marathon runner. He now lives in Kelvindale, and worked for STV and made online educational and other films. He will start a one year-contract as a lecturer in broadcasting at Glasgow Caledonian University early in 2018. The 256-page hardback book costs £18.99 and is available to buy online from the website www.pitchpublishing.co.uk.